With 40 million copies sold, To Kill a Mockingbird’s poignant but clear-eyed examination of human nature has cemented its status as a global classic. Tom Santopietro’s new book, Why To Kill a Mockingbird Matters, takes a 360-degree look at the Mockingbird phenomenon both on page and screen. Tom traces the writing of To Kill a Mockingbird, the impact of the Pulitzer Prize, and investigates the claims that Lee’s book is actually racist. Here for the first time is the full behind the scenes story regarding the creation of the 1962 film, one which entered the American consciousness in a way that few other films ever have. From the earliest casting sessions to the Oscars and the 50th Anniversary screening at the White House, Tom examines exactly what makes the movie and Gregory Peck’s unforgettable performance as Atticus Finch so captivating. As Americans yearn for an end to divisiveness, there is no better time to look at the significance of Harper Lee’s book, the film, and all that came after. Fans of To Kill a Mockingbird, the film and the novel, will enjoy this work. Meticulous attention to detail…Readers not familiar with the stories behind the novel and the film will find much to relish. A detailed account of a classic novel’s context, transformation, and acclaim. Inspiring, hopeful, and surprising at every turn, this is a glorious read in the moment we need it most. 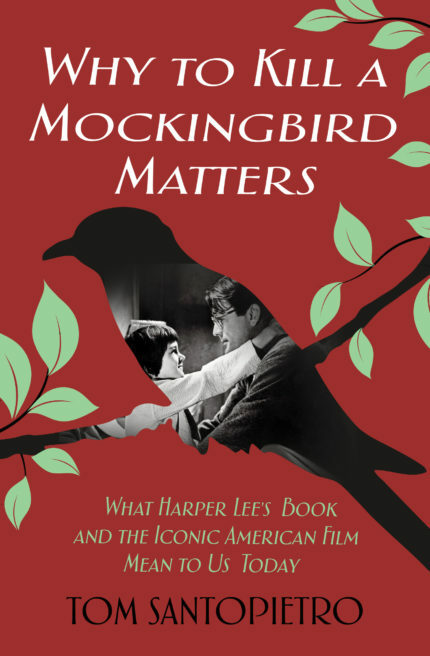 I barreled through Why To Kill a Mockingbird Matters…You will love this fascinating and timely book. Santopietro has certainly done his homework, and he applies the rigor of his knowledge admirably. “Why ‘To Kill a Mockingbird’ Matters” is astute.